Walter Ritte will announce Wednesday that he is disenrolling from the Native Hawaiian Roll Commission’s registry, withdrawing his candidacy as a Nai Aupuni election delegate and calling for a boycott of the election. Civil Beat. The Office of Hawaiian Affairs on Tuesday rolled out a website called Mo‘oaupuni, which is intended to present material relating to what’s referred to as “Hawaiian political landscapes.” Civil Beat. The state Department of Hawaiian Home Lands is holding community meetings statewide on proposed rule changes that include allowing the agency to accept DNA tests to establish family ties for eligibility for the homestead program for Native Hawaiians. Maui News. Academic gains Hawaii public school students saw two years ago on the National Assessment of Educational Progress were essentially erased this year as math and reading scores slipped to 2011 levels on the standardized test known as the “Nation’s Report Card.” Star-Advertiser. The percentage of Hawaii fourth and eighth graders proficient in math and reading declined in 2015, scores released Tuesday show. Hawaii's scores slipped in both grades and both subjects on the National Assessment of Educational Progress, which is administered every two years to a representative sample of students in each state. Hawaii News Now. A group of Hawaii legislators is tired of the Health Department ignoring a state law that requires inspection reports of adult care homes and other long-term care facilities to be posted online. Civil Beat. 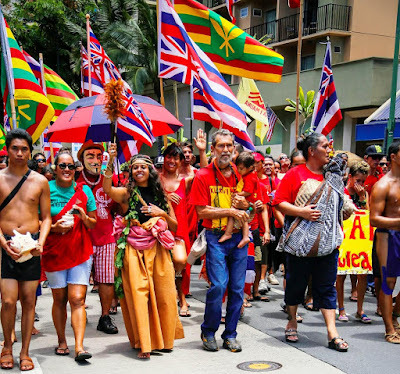 The Hawaii Public Utilities Commission won’t let opposition to NextEra Energy's acquisition of Hawaiian Electric Co. influence its decision on whether to grant final approval of the $4.3 billion deal, the agency's chairman told Pacific Business News. As the state Public Utilities Commission prepares to weigh evidence in the proposed $4.3 billion merger of the Hawaiian Electric Companies and NextEra Energy, the companies requested intervenors pushing alternatives to the merger be excluded from an upcoming hearing. Tribune-Herald. The state is working to increase ocean safety education for visitors in the wake of recent tourist drownings. Associated Press. Hundreds crowded into McKinley High School's auditorium Tuesday to voice their opposition to Hawaiian Electric's NextEra merger. Hawaii News Now. More than 250 Oahu residents gathered Tuesday night at the McKinley High School auditorium to voice their opinions on the proposed purchase of Hawaiian Electric Industries by Florida-based NextEra Energy Inc. Star-Advertiser. The Hawaii Public Utilities Commission heard an unfamiliar sound Tuesday evening — strong support for the proposed $4.3 billion sale of Hawaiian Electric Industries to NextEra Energy. Unlike on Maui and the Big Island where members of the public overwhelmingly opposed the deal, the Oahu residents who testified were far more evenly split. Civil Beat. A University of Hawaii law school degree is one of the most valuable for the mind and wallet, according to the National Jurist magazine’s latest rankings. The UH William S. Richardson School of Law was recognized again as a "Best Value" law school for its significant rate of employed recent graduates as well as its students' low levels of debt. Pacific Business News. Board of Water Supply Critical of Navy Red Hill Fuel Leak Mitigation Plan Hawaii Public Radio. The Air Force apologized Tuesday for unexpected early morning noise from fighter jets roaring over Oahu. Star-Advertiser. Kevin Mulligan, a retired union agent for the Hawaii Government Employees Association, and a member of the 12-person Honolulu Charter Commission, has submitted several proposals to the Charter Commission, including one that would lower the threshold for firing a police chief and another to create a completely new oversight agency to keep tabs on the department’s internal disciplinary process. Civil Beat. The vast majority of Hawaii Island schools appear to be making improvements, according to the latest results of the fledgling Strive HI Performance System. However, the island as a whole continues to lag behind the rest of the state on most performance measures. Tribune-Herald. Hawaii County has selected a preferred site for a wastewater treatment plant serving Naalehu. The site is located on state land makai of Mamalahoa Highway on the east side of the town. It borders property the county is considering purchasing in order to preserve former Makahiki grounds known as Kahua Olohu. Tribune-Herald. An unhappy homeowner at the luxury Four Seasons Resort Hualalai is suing the resort and its developers, saying he and others aren’t getting the benefits they were promised when they built or purchased their homes. The suit claims that homeowners, their families and guests face crowded facilities and fees that have risen unfairly at The Hualalai Club, where a membership runs $250,000, plus $40,625 in annual dues. West Hawaii Today. The Maui Police Department is seeking funding for five additional positions, including a police major and an emergency services coordinator, in its budget proposal for the 2017 fiscal year. Maui News. Pregnant women can take advantage of new parking stalls designated for expectant moms at the Queen Kaʻahumanu Shopping Center in Kahului. Maui Now. Kauai County Councilman Mason Chock will present a preliminary report this morning on the findings thus far of a subcommittee formed in June to study the possibility of switching to a county manager system of government. Garden Island. A majority of the Kauai County Council changed its own internal rules to prevent any Councilmember from asking questions of the public when they testify. Hawaii Independent. Jim Guerber, head brewer and owner of Kauai Beer Company, was elated when he heard that Kauai County was earmarked to receive $13 million in federal funds targeted at revitalizing the Lihue Town Core. Garden Island. The Kaho'olawe Island Reserve Commission intends to ask the state attorney general to clarify the law that bans commercial activity in the reserve. Maui News.